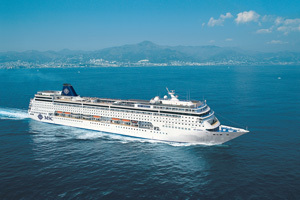 Which cruise ships are being refurbished in 2014? 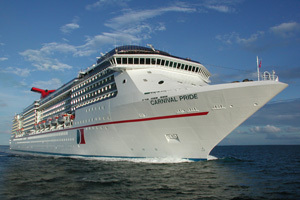 Details: As part of Carnival’s $500 million Fun Ship 2.0 revamp, several new dining and entertainment venues were brought onboard, including a WaterWorks water park for kids, the Caribbean-themed RedFrog Pub, Bonsai Sushi restaurant, Cherry On Top candy store, “Hasbro, The Game Show, “and Playlist Productions’ live musical reviews. 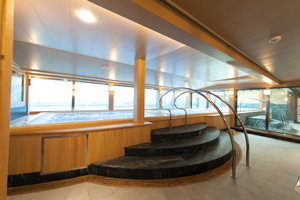 The ship also upgraded its swimming pools and gym equipment, and replaced carpeting, tile, and wall coverings throughout. Details: Carnival Freedom also received upgrades as part of the $500 million Fun Ship 2.0 revamp, but not the same ones as Carnival Legend. 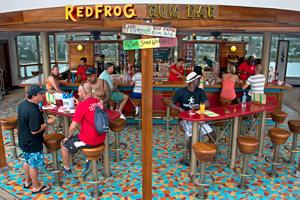 Look for Guy’s Burger Joint, Mexican food at the poolside BlueIguana Cantina and adjacent BlueIguana Tequila Bar, EA Sports Bar, Alchemy Bar, “Hasbro, The Game Show,” Playlist Productions’ live musical reviews, Cherry on Top candy store, Caribbean-themed RedFrog Pub, and The Warehouse arcade. The first-ever Dr. Seuss Bookville® family reading center was created onboard as well. 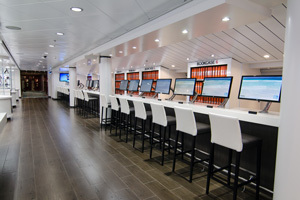 Details: Carnival Pride’s Fun Ship 2.0 enhancements mirror those of Carnival Freedom, but also include some extras: RedFrog Rum Bar, Bonsai Sushi restaurant, and the Library Bar, offering self-serve wine and a full-service bar. 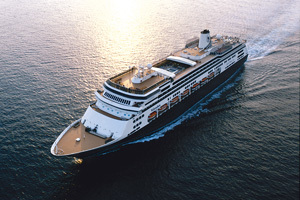 The ship was also outfitted with scrubbers — exhaust gas-cleaning technology that reduces air emissions. Details: Two new food and drink venues were added: Gastrobar, a craft beer and comfort food restaurant, and Slush, which serves frozen drinks made with fresh juice. 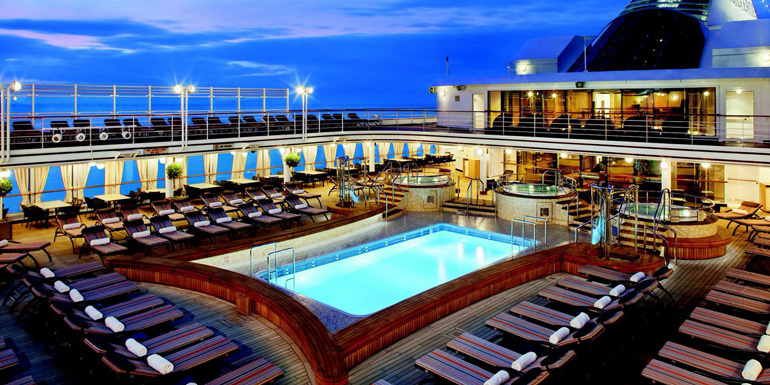 The Studio – Fine Art Photography (a high-end portrait studio) and a Michael Kors boutique were also added to the ship, as was a new Internet lounge — Celebrity iLounge — which replaced Online@Celebrity. 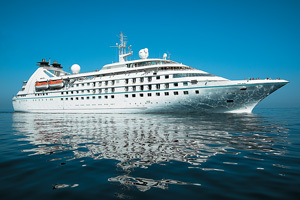 The spa onboard, which was previously operated by spa company Steiner, has been rebranded as Canyon Ranch SpaClub® without the need for a dry dock. Details: On this ship, 26 outside cabins will be become hypoallergenic staterooms. The ship will also receive new gym equipment, an outdoor fitness garden, new furniture at the Bistro Cafe, and the Cove and Plaza will be redecorated. Details: The Queen Elizabeth underwent a multimillion-dollar refit to create nine single-passenger staterooms — a first for the line since the QE2, which once offered this category, retired in 2008. They span 159 to 162 square feet and feature single beds and large windows in the outside rooms. 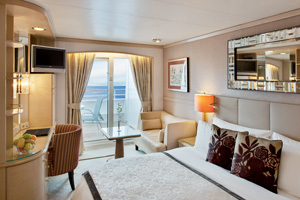 The remainder of the cabins received new carpets and flat-screen TVs. Details: Existing outside cabins will be converted into 21 new Lanai staterooms and receive remodeled bathrooms with new fixtures and walk-in showers. Each room will have direct access to the Lower Promenade walking deck from the balcony, which will have one-way mirrored doors for additional privacy. All suite bathrooms onboard will be upgraded to feature whirlpool tubs, stone vanities, lighted mirrors, and new fixtures. A new nightlife space will also be created to help guests mix and mingle. Aptly named Mix, it will contain three themed bars: Martinis, Champagne, and Spirits & Ales, each selling a selection of what its name promises. Details: MSC Armonia is the first of the four Lirica-class ships to receive upgrades as part of the $273 million “renaissance” program that will take place through 2015. Two hundred new staterooms will be added, as well as a new splash park; onboard boutiques will be redecorated, and a new perfume store selling luxury brand products will be added to the ship. Details: Both ships, part of the Jewel class, will be enhanced to include O’Sheehan’s Neighborhood Bar & Grill and the Sugarcane Mojito Bar. Plus, desserts from Carlo’s Bake Shop will now be sold in the coffee shop. In addition, the carpet and tile will be replaced throughout the ships. 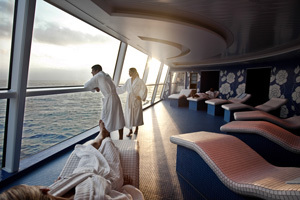 Details: This $50 million renovation to all R-class ships included new décor in all cabins and public spaces and the addition of the Baristas coffee bar. 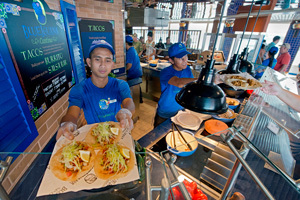 The Terrace Café was totally renovated with a new cook-to-order grill. The sports deck has new golf putting greens and shuffleboard courts, and the Canyon Ranch SpaClub has renovated steam rooms and changing areas. 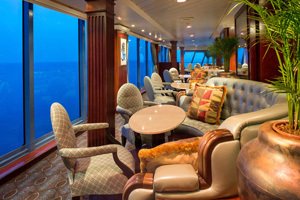 Horizons and Martinis bars were outfitted with new furnishings, and Regatta Lounge received new carpets, chairs, and upholstery. Details: The ship’s $30 million renovation included an 8,800-square-foot Japanese bath area — the largest of its kind at sea — and a new sushi restaurant. 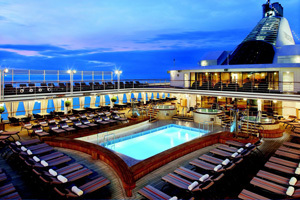 The casino was remodeled, and duty-free shops with new luxury brand products from Fendi, Burberry, and Omega were added, as were 14 new cabins. The décor in Sabatini’s restaurant was updated, and the Horizon Court buffet now features live cooking stations, a pastry shop, new décor, and additional seating. Details: The grand, master, mariner, seven seas, horizons, and penthouse suites have all been redecorated, and the theater has a new LED wall and new tables and chairs. All lounge spaces received updated furnishings and flooring, the Canyon Ranch SpaClub has new steam rooms and stone flooring, and state-of-the-art exercise equipment was added to the fitness center. New teak floors were installed on the 350 suite balconies, and the pool deck now features resort-style couches and lounge chairs. Details: Navigator of the Seas and Adventure of the Seas both added flat-screen TVs in all cabins, a Royal Babies & TotsSM Nursery (it started on Oasis of the Seas in 2009 and is now being added to each ship as they go into dry dock), specialty Italian restaurant Giovanni's Table, a gigantic movie screen on the pool deck, touch-screen signs, and a new Diamond Lounge for Crown & Anchor Society loyalty members (access is granted when you sign up after your first cruise; you then earn points with each subsequent sailing to use toward precruise and onboard perks). 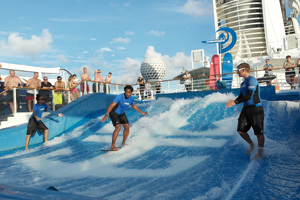 A few different offerings can be found on these ships as well: Adventure of the Seas added new staterooms, and Navigator of the Seas gained specialty restaurants Sabor Modern Mexican and Izumi Japanese cuisine, the FlowRider® surf simulator, and virtual balconies in 81 interior rooms. 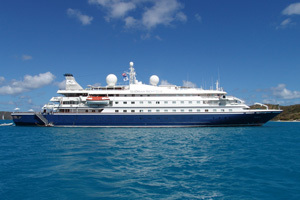 Voyager of the Seas is scheduled to go into dry dock in October for additions similar to those on Navigator of the Seas. 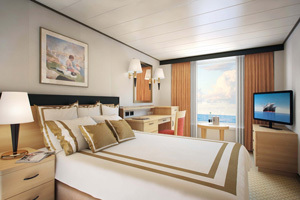 Details: Four new penthouse spa suites were built on Deck 10, directly above the Spa at Seabourn. Each one-bedroom suite is 534 square feet with a private balcony looking out over the stern, floor-to-ceiling windows, shower and separate bathtub, two flat-screen TVs, and a bar stocked with healthy snacks. Details: Along with routine mechanical and electrical maintenance and upgrades, SeaDream I’s Main Salon was refreshed with new paint, upholstery, and carpeting. 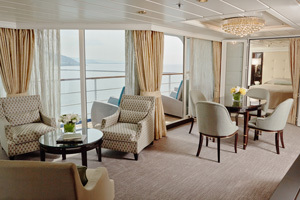 The staterooms also received new carpeting and basic touch-ups, such as wallpaper replacement. Details: The ship underwent its regularly scheduled dry dock for mechanical maintenance in addition to replacing carpeting, drapery, flooring, and upholstery as needed. Details: Formerly Seabourn Pride, Star Pride’s public spaces and dining venues were transformed to reflect the Windstar brand with new furnishings, upholstery, lighting, wall coverings, carpeting, and window treatments. The suites were redecorated with leather headboards, new sofas and chairs, updated lighting, window coverings, carpeting, and new artwork. Destination suites — owner’s suites decked out in cultural décor and local artwork — also debuted. Bookville is a registered trademark of Dr. Seuss Enterprises. Canyon Ranch SpaClub is a registered trademark of Canyon Ranch. FlowRider is a registered trademark of Light Wave Ltd. Which enhancements are you most excited to experience? I have sailed on some vessels post "update". One of the things I have seen is that very little goes into these upgrades when it comes to passenger cabins. 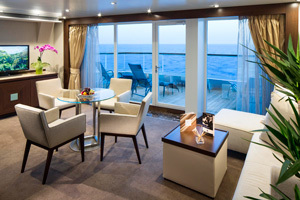 They upgrade things such as specialty restaurants, pools, atrium areas etc, But these upgrades can be deceiving when you board the vessel, go to your cabin and find stained linen, rusted balconies and outdated looking bathrooms. The upgrades seem to be more for the profit side of the line as opposed to the personal experience of the cruiser. Granted some of the upgrades may be safety/operational related but when a potential passenger thinks the ship has been "upgraded", they think that the WHOLE ship has been upgraded.